Can the selling get below the key 200 day MA. The NZDUSD has moved below a neckline on the hourly chart at the 0.6860 level. At that level is also the 50% of the move up from the November 23rd low. 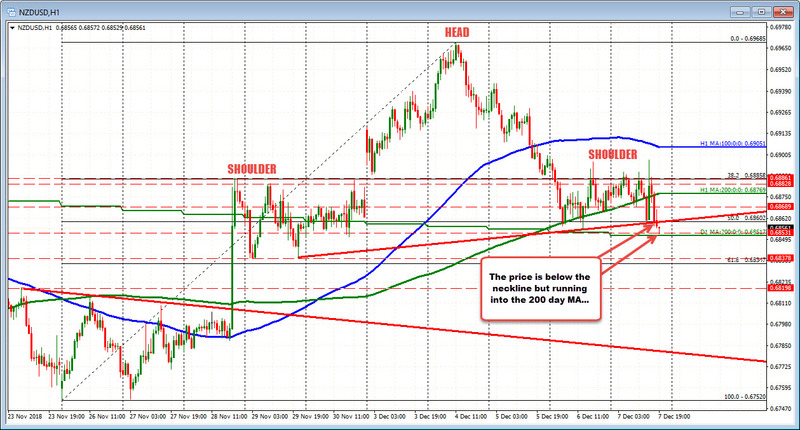 Below those levels is another target at 0.68517 where the 200 day MA is found. A move below that level, opens the downside toward 0.6932-378.